Interested in advertising? Enter your email and I will offer you a special deal! 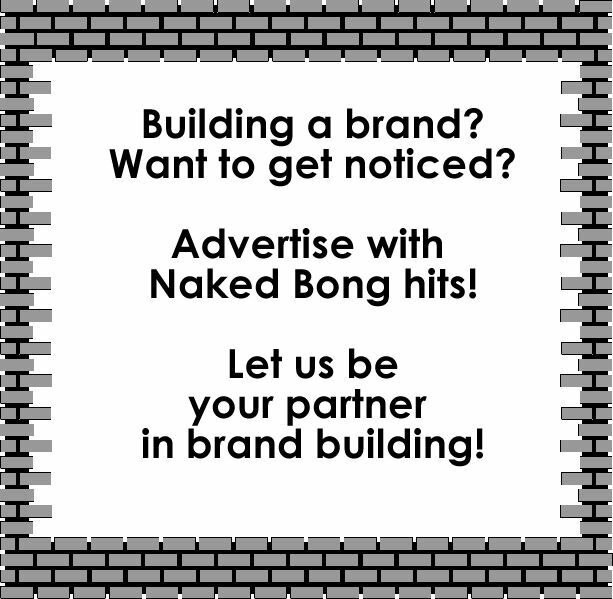 Advertise with Naked Bong Hits! Do you have a cannabis product? Do you want to build a brand name in the industry? Let Naked Bong hits be your partner! We offer advertising on www.nakedbonghits.com on a monthly basis. The website offers 21+ 'family friendly' content and gets over 6000 hits monthly. The site currently offers 23 ad spaces, one on each models page, 2 on the home page and 4 on the gallery page. Models are added monthly. Each advertiser is featured in an email sent weekly to to drive customers to their web sites. The ad size is 400 by 400 pixels. Advertisers are responsible for the creation of their own ad which must be submitted at the time of contracting services. I am sure your wondering if the ads get traffic to your website, so was I-- So I wrote a statistics page you can check! Ads accepted: Cannabis, Cannabis industry or Hemp industry related/friendly products and services only. Financial service companies related to the Cannabis industry. Political organizations/politicians related to or promoting Cannabis legalization or human rights only. Music festivals, artists, food companies. Pharmaceutical companies with an inception date after 01/01/2013 offering Natural Cannabis products only. Restricted - No pornographic sites, religious organizations or weapons manufacturers. Advertisers agree that they will not have ads on their advertised link promoting any of our restrictions during the time they advertise with us. We reserve the right to deny any advertiser or remove any ad for any reason. No refunds are given once an ad is published. We will email you a link to your own custom ad statistics page so you can monitor your stats. Select your ad file and upload it now below.